All products on this page are digital goods you can download instantly after a successful Paypal checkout. An in-depth, 66-page journey through many of the techniques used by contemporary blues artists like Robben Ford, Scott Henderson and many more. 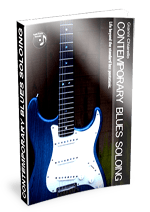 Includes over 40 Mp3 audio examples.From the Introduction:’I have written this book with the intent of helping the intermediate blues/rock player to break out of the well known ‘box standard pentatonic shape’ and venture towards more contemporary sounds. The blues language has developed in the last few decades from just being pentatonic based, to a more articulate language, thanks to fusion and jazz influences. I have been asked too many times during my years of teaching how to go beyond the usual pentatonic phrases that we have all heard way too many times, so I thought of collecting a wide array of ideas to steer your playing in different directions, not only harmonically, but also rhythmically’. The ebook is a digital download in the popular Pdf format and includes a recording of all audio examples in MP3 format. Click here to download the Contents table and a sample of the book with Mp3 recording free! 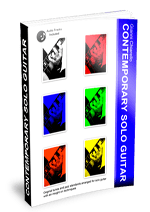 Also, buy ‘Contemporary Blues Soloing’ in Physical Format (yes, the old style book that you can touch!) and eBook at lulu.com, and Amazon.com (also Amazon.co.uk, .de and so on…) just click on the links below! An in-depth exploration of the twelve bar blues, from classic R&R grooves to the most Modern Blues and Fusion sounds, following a journey through different comping styles and techniques.I have written this book to provide a variety of comping ideas for blues guitarists of all levels: most of the material comes from my experience in playing countless blues, jazz, and funk gigs, and hours of listening to and transcribing from the classic records, trying when applicable, to explain with simple harmonic concepts why I use a chord instead of another.The ebook is a digital download in the popular Pdf format (70 pages) and includes a recording of all examples in MP3 format. 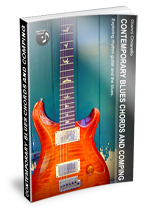 Also, buy ‘Contemporary Blues Chords and Comping’ in Physical Format (yes, the old style book that you can touch!) and eBook at lulu.com, and Amazon.com (coming soon) just click on the links below! Originals and jazz standards arranged for solo guitar in the style of W. Krantz, P. Metheny, L. Breau, K. Rosenwinkel and more. Every piece is accompained by an insight on composition and techniques to achieve that elusive ‘contemporary jazz’ sound. The book is available as a digital download in the popular Pdf format and includes a recording of all ten pieces in MP3 format. The digital download is under 20mb for quick download times.Click here to download the Contents table and one full piece with Mp3 recording free! 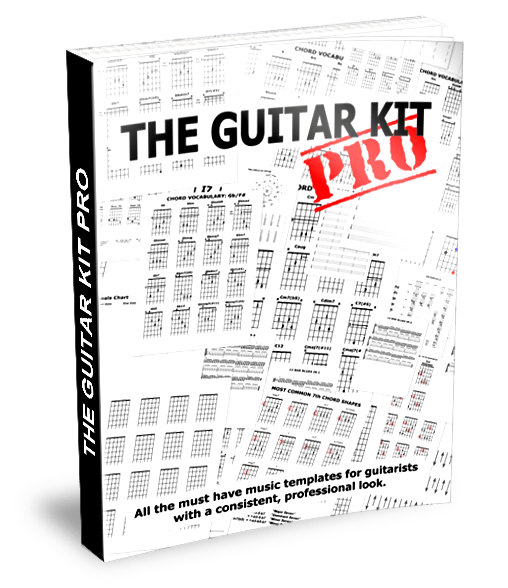 If you enjoyed the free version of ‘The guitar kit’, ‘THE GUITAR KIT PRO’ is an even bigger collection of music and guitar templates, that I personally use to teach, now available in a consistent and professional look.Over 70 pages of print quality templates in both JPG and PDF format, customizable and brand-able (step by step instructions on how to add your own logo with popular programs are included). If you are looking for a set of inspiring blues backing tracks for all instruments you have come to the right place. Here you’ll find 12 tracks, to cover all keys, tempos ranging from very slow to very fast, in the most popular blues styles. These professional tracks have been produced with instruments played live with the best technology available. All downloads are mp3 at high quality conversion DRM free and Ipod compatible. Downloading the tracks from this site also includes full charts. Inspired by the golden era of Motown and the classic 70’s funk grooves these tracks are guaranteed to get you moving whilst you improve your instrumental skills. Vol 2 includes 12 tracks to cover all keys, tempos ranging from very slow to very fast, in the most popular blues styles. These professional tracks have been produced with instruments played live with the best technology available. All downloads are mp3 at high quality conversion DRM free and Ipod compatible. Downloading the tracks from this site also includes full charts. Prepare for a journey through classic rock, heavy blues and funk rock: these tracks are guaranteed to get you rocking whilst you improve your instrumental skills. 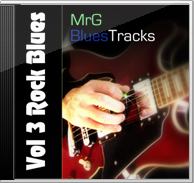 Vol 3 includes 12 tracks to cover all keys, tempos ranging from very slow to very fast, in the most popular Rock Blues styles. These professional tracks have been produced with instruments played live with the best technology available.Downloading the tracks from this site also includes full charts. These tracks are guaranteed to get you swingin’ whilst you improve your instrumental skills. Vol 4 includes 12 tracks to cover all keys in the popular 12-bar Shuffle Blues format. These professional tracks have been produced with instruments played live with the best technology available. Downloading the tracks from this site also includes full charts. Vol 5 includes 12 tracks to cover all keys in the popular 12-bar Slow Blues format. These professional tracks have been produced with instruments played live with the best technology available. Downloading the tracks from this site also includes full charts. 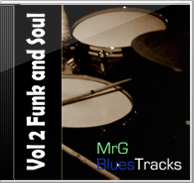 A continuation of Vol 2, these Funk tracks are guaranteed to get you moving whilst you improve your instrumental skills. Vol 6 includes 12 tracks to cover all keys, tempos ranging from very slow to very fast, in the most popular Funk styles. These professional tracks have been produced with instruments played live with the best technology available. Downloading the tracks from this site also includes full charts. Prepare for a journey through classic rock, heavy blues and funk rock: these tracks are guaranteed to get you rocking whilst you improve your instrumental skills. Vol 7 includes 12 tracks to cover all keys, tempos ranging from very slow to very fast, in the most popular Rock and Blues styles. These professional tracks have been produced with instruments played live with the best technology available.